Good, but not as good as Olive Kitteridge…. A wonderful novel – one of those books that leaves you feeling slightly bereft when you get to the end. 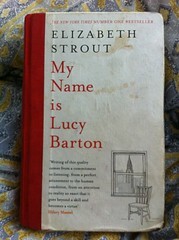 I’ve brought it back from Walton to lend on, and made me all the more determined to lay my hands on a copy of My Name Is Lucy Barton, which is the Elizabeth Strout novel I put on my To Read list way back when…. 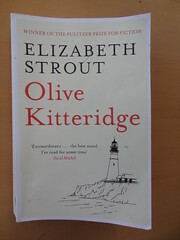 Elizabeth Strout’s writing reminds me of Maggie O’Farrell and Kate Atkinson (in Life after Life mode).